Several years ago when Julia was about two, I met up with a friend for coffee at Starbucks. We had just settled in to our seats with drinks in hand when two little ladies shuffled by us. Upon further inspection and a little eavesdropping I realized the pair was an elderly mother with her adult daughter - the daughter had Down Syndrome. Both my friend and I observed them for a few moments before turning back to each other. I was about to comment on how precious the two of them were when my friend spoke first and somberly said, "Some days you see the sad ones." I'm sure my face fell. Sad ones? I had not expected that. I don't remember what I said in response, I probably just tried to move us quickly on to safer ground. But the moment stuck with me. We had just witnessed the very same scene but saw two very different stories. I saw happiness and family. I saw something I prayed for in my own story -which is many more years with my daughter. I have this fear that people think our story is sad. I fear that no matter how many times I profess the opposite, some people will continue to think my words are nothing more than a positive spin on a negative story. I fear that no matter how many different ways I try to explain that Julia is a blessing, people will assume I am simply making the best of a bad situation. I fear the assumption will remain for some that we are putting on a brave face to hide our disappointment. That we are somewhere between saints and martyrs for loving our child. That we are admirable for continuing to put our best foot forward given the hand we've been dealt, but the bottom line remains our story is sad and we are the sad ones. And while I know I will never change every person's mind on this, the fear of being so grossly misunderstood drives me to keep trying. Julia deserves that. So once again, for the record, we are not sad about Julia. We are not enduring her, we are not tolerating her, we are not suffering as a result of her. We love her and we like her. And it hurts when loving her is seen by some as heroic - it hurts because nothing could be farther from the truth. 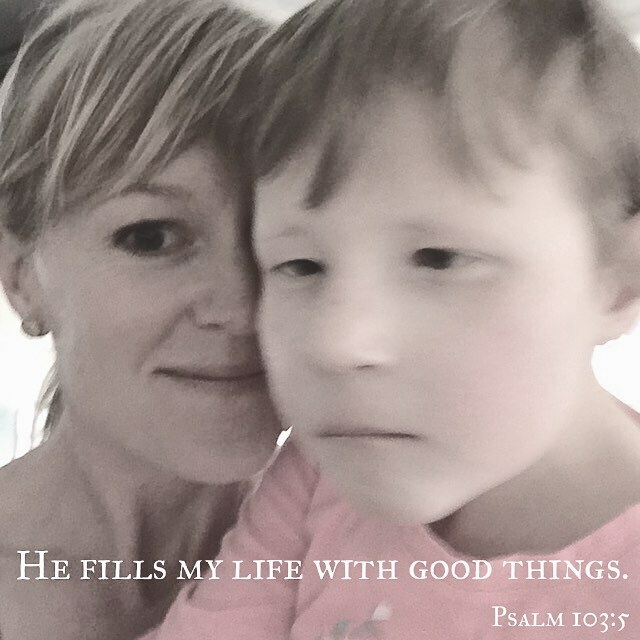 It does not take heroism to love our child - and I wonder what I am doing wrong in telling our story that some would still think this is the case. Regarding the compliments, I am grateful for them and humbled by them. I know they are being given in kindness, but I do not make the connection between Julia and these qualities. I hope I would be that kind of person with or without Julia. I want to be a positive, optimistic, grateful, strong, brave, vulnerable, compassionate person period. Not in spite of something. And the same goes for the opposite. When I am not those positive things (which is most of the time). When I am moody, and negative, and anxious, and snarky, and grumpy, and overwhelmed - I am those things by my own doing - with or without Julia. She is not to be blamed. If I am positive it is not an act of overcoming Julia, if I am negative it is not to be blamed on Julia. If you see any good in me, it is by the grace of God. And when you see the bad, the fault is my own. A lot of people are happy in seemingly hard situations and miserable in seemingly great situations - I think we have to stop assuming we understand situations based on appearances and let people tell us how their story goes - and then believe them. My story with Julia is a good one. My situation makes me happy. She is my best gift. She is not the hard part of my life, she is not where I have to be brave or dig deep. It's not brave to do something that doesn't scare you. This is how I feel about my life with Julia. I'm not being brave, she doesn't scare me. What scares me is thinking about life without her, that is when I have to be brave. A little girl with epilepsy died suddenly two days ago. She had been doing well recently, she wasn't even in a really bad place with seizures. But she died. Unexpectedly. At the age of 13, while sleeping in her daddy's arms, because of epilepsy. And this is the sad story. But not ours. Not yet. Not while we are still together. So friends, will you promise me something? Will you promise me you will try to fight the thought that we are a sad story. Will you trust that the story I am telling you is the true version? That Julia is a blessing, without qualifiers. And every moment we get with her only makes this story better. And if, God willing, we are given many more years together, and we get to be little old ladies, leaning on one another as we shuffle side by side through Starbucks - will you promise to think to yourself when you see us go by, "Some days you get to see the really happy ones." And that will be the truth. Thank you for reading and commenting!!! I'm so glad to know you see our joy! And your kind words mean a lot to me - I will store them up! Thank you!! Ok through tears of course because you tell your story so well and it in turn tells the story of so many, thank you. When someone mentions Laurie and Julia I smile. My heart doesn't hurt. My heart isn't sad. It rejoices. Our children are our precious gifts that we have been given by God. He must have thought we were pretty special to be given such great gifts. Gifts that have been wrapped in colorful, happy paper, with big red bows...and they are ours. We are in deed lucky! Huge Blessings! Love you, Jules and Wes for showing the world happiness! Every day I think if you, I smile and feel touched by the love and sunshine in your heart. Thank you for sharing and helping the world understand pure joy and love!!!! !God Bless you. Please give Jules a hug from me!!! i love reading your words and I can feel the happiness in them. Julia is such a delight and your family stories are like most family stories, some happy-some sad, some funny-some hard. The sadness for me comes from years of working as a school psychologist and seeing families who did not have the resources to care for their children. Poverty, working two or three jobs, drug or alcohol addictions. Sadness. Thank you for this! My daughter was 23, married, with a 9mo old son, when she became ill with an undiagnosed conditions that resulted in a brain injury. She now is total care. My husband and I never had a doubt that we would be her caregivers because the alternative (being admitted to a long term care facility ) was not an option in our minds. We also are raising our grandson (who brings us much joy). This is not what we thought we would be doing however this is our plan now. I hate the fact that many people view our life as sad. Yes it's sad that this had to happen to our beautiful daughter however our life is not sad. We have love and joy in our life even amongst the hard days and stress. I hate when someone says they could never do what we do. First you never know what you can do and deal with until your handed it. Second, how sad for your loved ones, that you give up before you even try! Once again thank you for writing this story. It was exactly what I needed after a day filled with the sad glances and whispers of people while we were out having a normal happy day doing "our thing"! We see out story as a happy one as well. We couldn't love our daughter more and we have made every decision since she was born based on her needs and wants. Yet....we have actually not only seen people look at us with pity but we also had doctors treat us like bad parents for not being sad about our daughter having dandy Walker syndrome. Because we didn't act depressed and could smile for the benefit of our daughter and hide our concern from her when she is sick and because we would not act like she is only one big tragedy we were targeted by doctors (well one doctor) and punished and so was our daughter. Luckily we got through it and others disagreed with her but it was traumatic and it's unfortunate that we were basically told that loving our daughter and being happy she exists was wrong. We still don't think out life is a tragedy but that experience was hard and now we are afraid to not act sad and like we are depressed about her condition when at doctor'sappointments. Well when at new doctors appointments. We have so far learned that with most doctors we choose we can be ourselves and celebrate our daughter for who she is once we know them. Most understand us. I'm just so sad that some doctors, some people think a child's life should be treated as a tragedy becaus of a condition they're born with. In my daughters case it isn't even really a painful condition. Things are more difficult for her yea but she is a strong and stubborn little girl. And we are so proud of her.